Last Friday, I left work early for a dentist appointment. I needed a LARGE filling replaced in my far, rear molar. I had rough week - or month, or quarter, however you want to look at it. Sitting in the dentist's chair, while some crazy sadist drilled my face, felt like a reprieve. Upon arrival, I checked in on Foursquare. Afterwards, I received a tweet from @CaitCampbell, a co-worker who is my passport to GenY or Millennials. She asked, "Are you going to make a Leyla After the Dentist video?" I didn't know what this was, so I had to look it up. 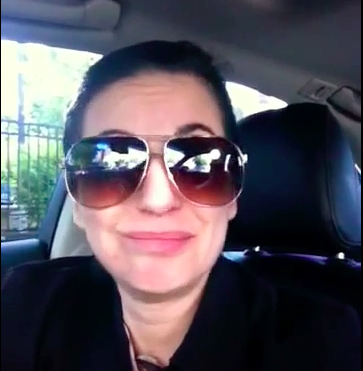 After Googling the original video David After the Dentist, I took @CaitCampbell 's lead and made the video. Here is my version of David After the Dentist... I am in the car with my dad, like David. My dad is asking me questions, I am answering, just like David. The only difference, I am much, much, much older. But that's the only difference. Watch and see. For more amazing videos made by me - Visit my YouTube channel... You go NOW! You are still radiant, quite frankly! I wish I've thought of the same idea after my visit to the dentists bartlett clinic.